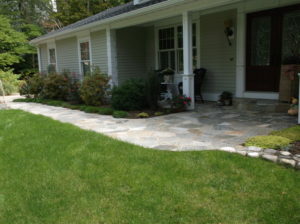 Residential – Front walkway and rear patio. 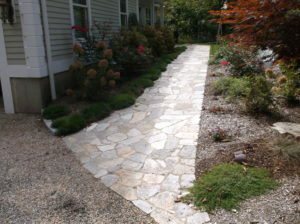 Front walk way consists of poured concrete. 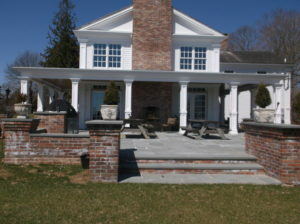 Rear patio consists of poured concrete and 3’ brick walls surrounding the patio area. 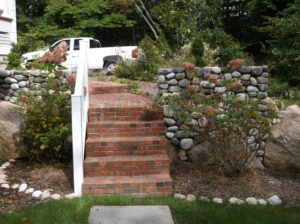 Pictures show step by step process of construction from excavation to the finished product. 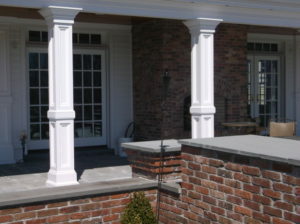 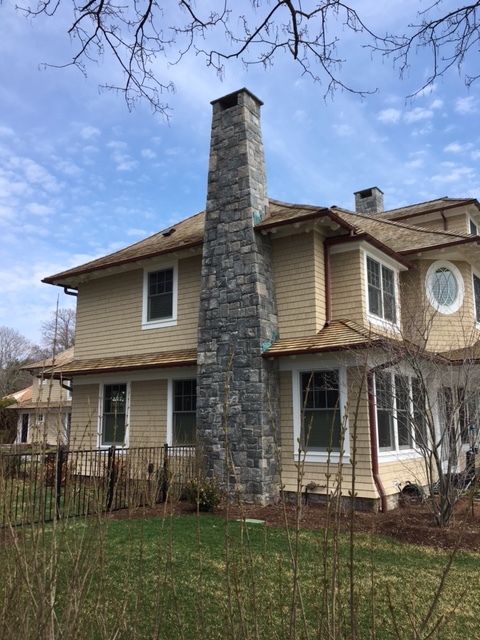 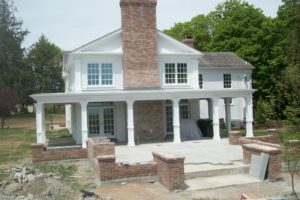 This home was recently constructed in Madison on the Long Island Sound. 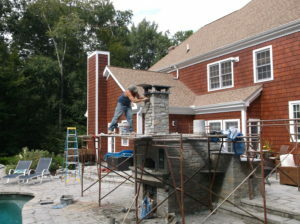 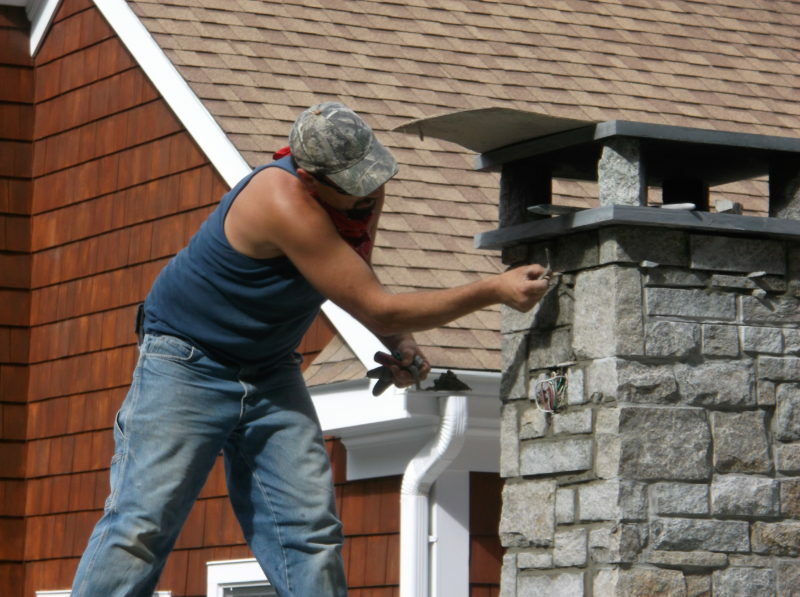 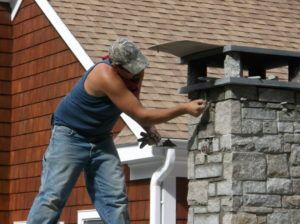 We worked with the local homeowner to design and construct two fireplaces. 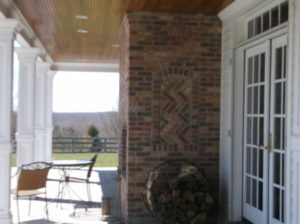 One is on the interior of the home and the other (pictured) is on the exterior. 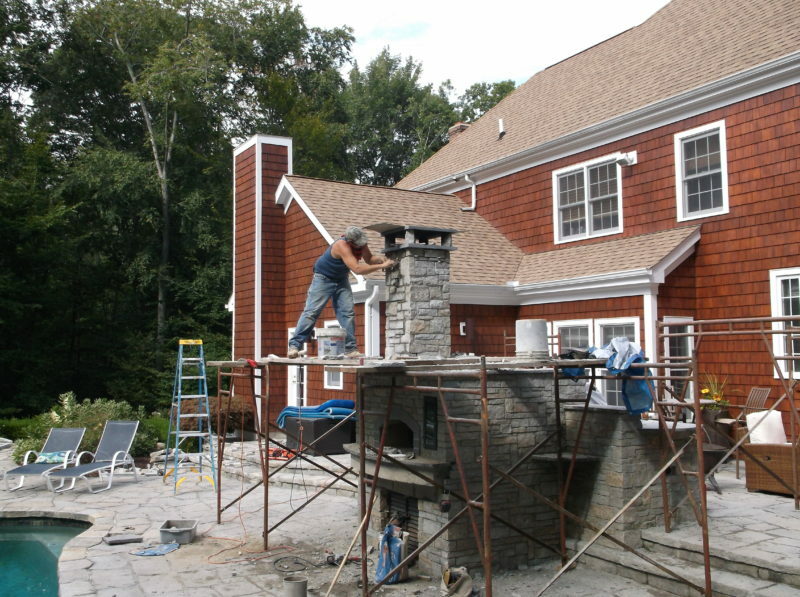 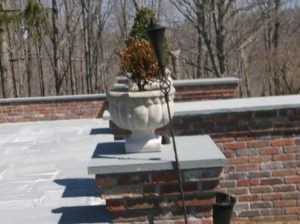 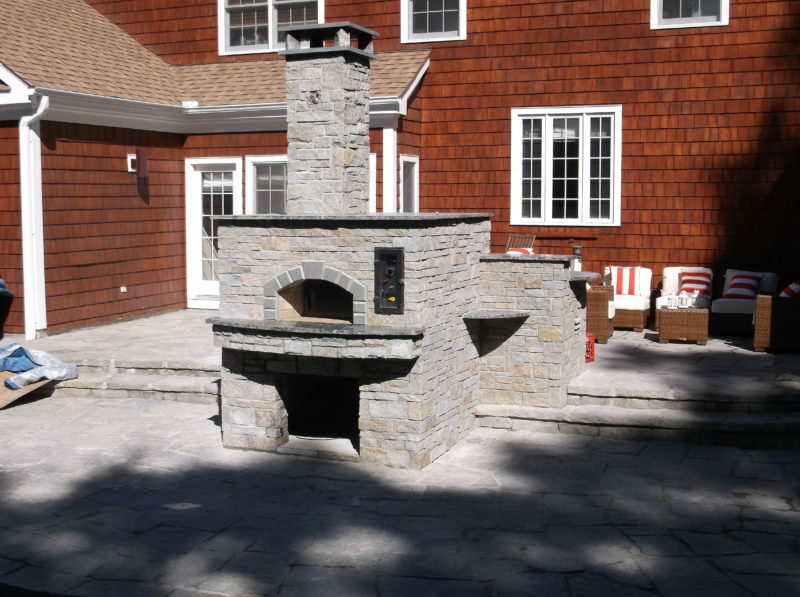 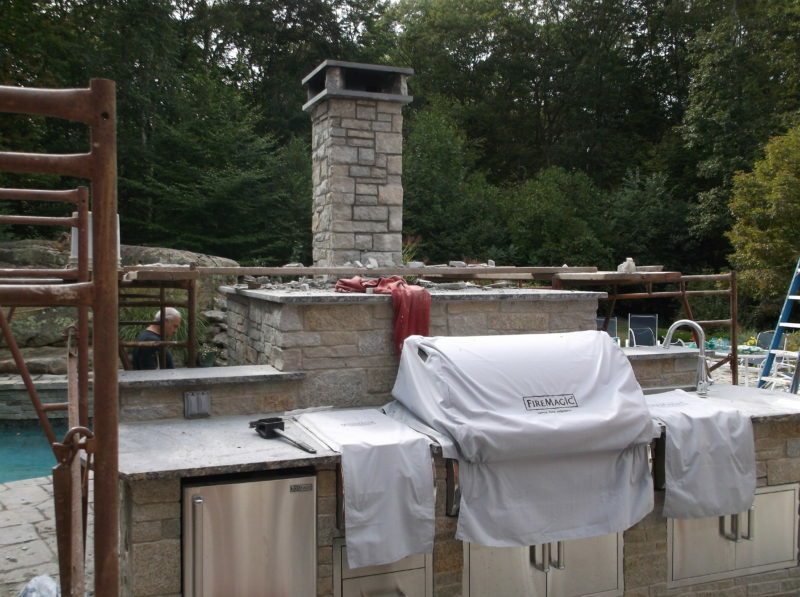 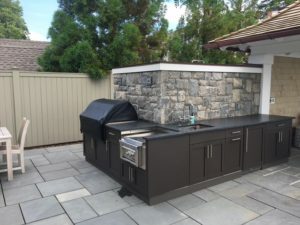 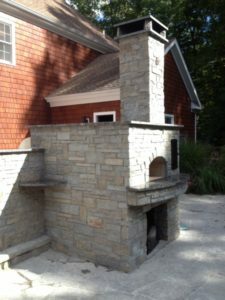 We also designed and installed the stonework surrounding the outdoor kitchen which surrounds the pool area. 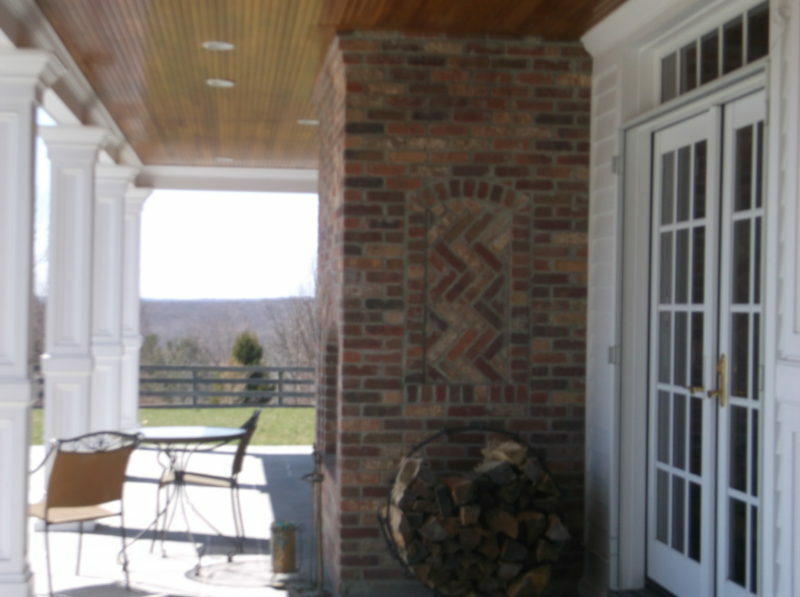 Constructed of block, brick and covered with Thinstone veneer. 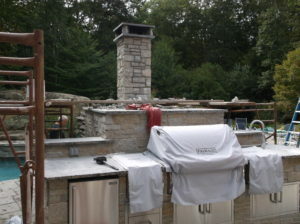 Each piece is cut and fit separately on to the surface surrounding the oven. 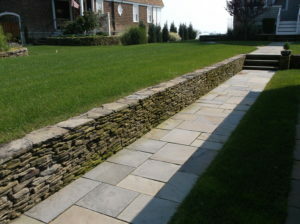 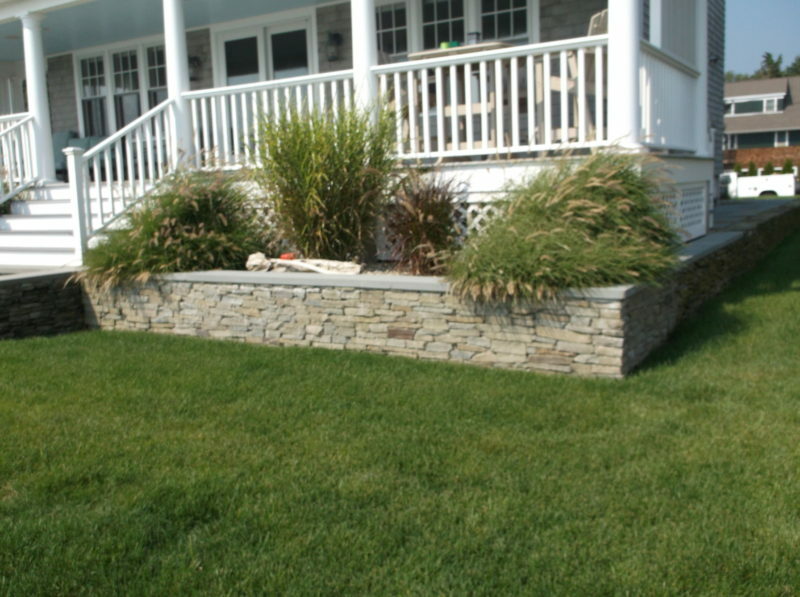 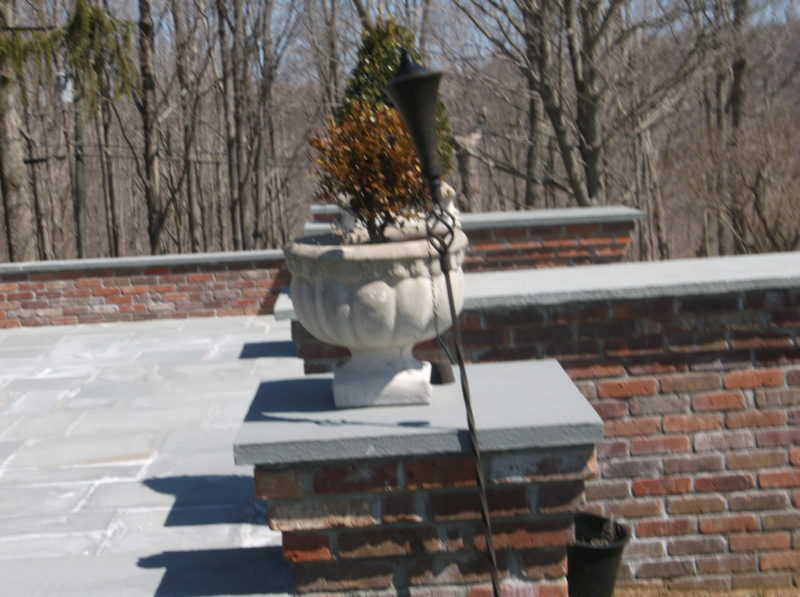 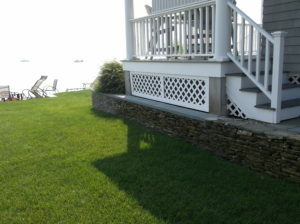 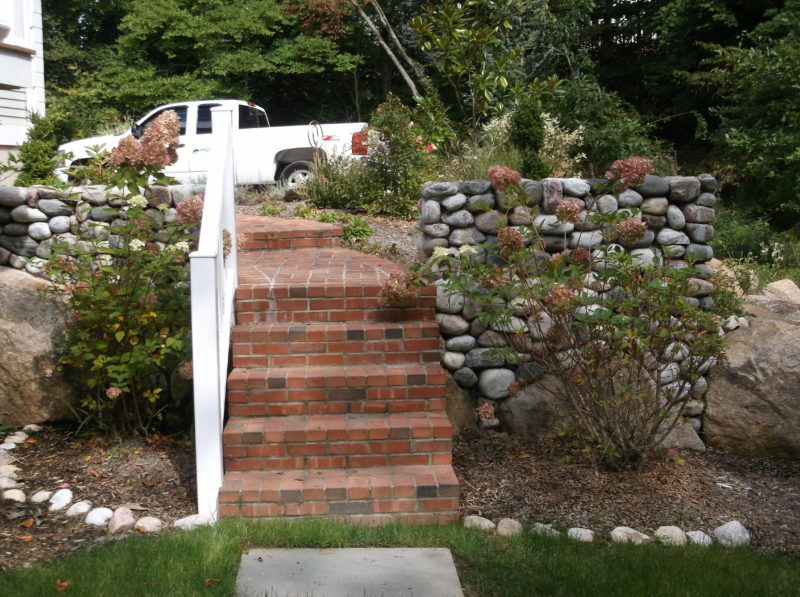 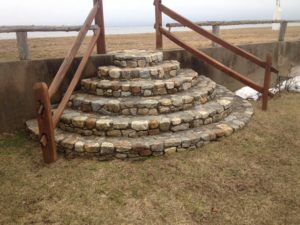 This project located on the shoreline in Madison, Connecticut exhibits a dry set bluestone walkway in addition to a wall constructed of selected ‘river flats’ stone. 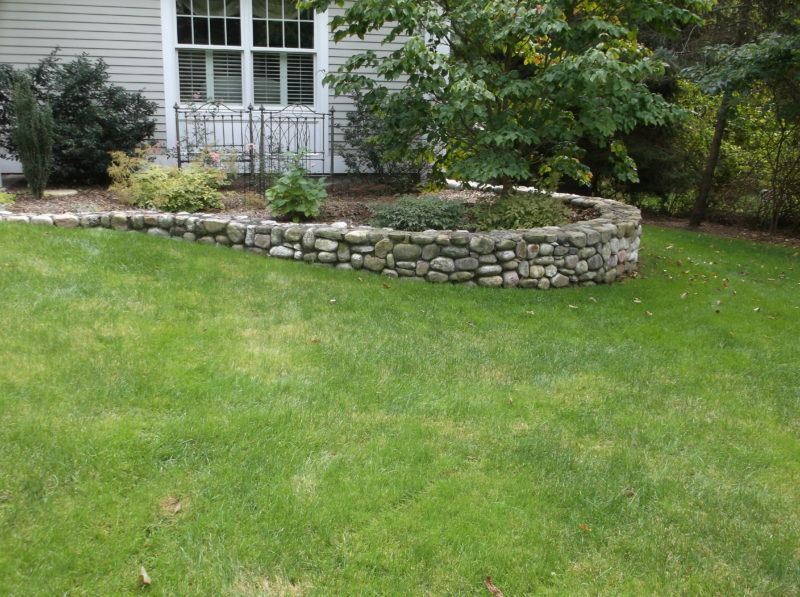 Perimeter wall with bluestone cap constructed to contain shrubbery and other decorative landscaping. 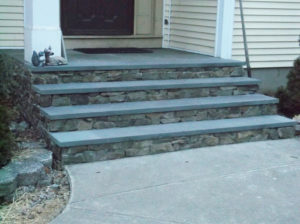 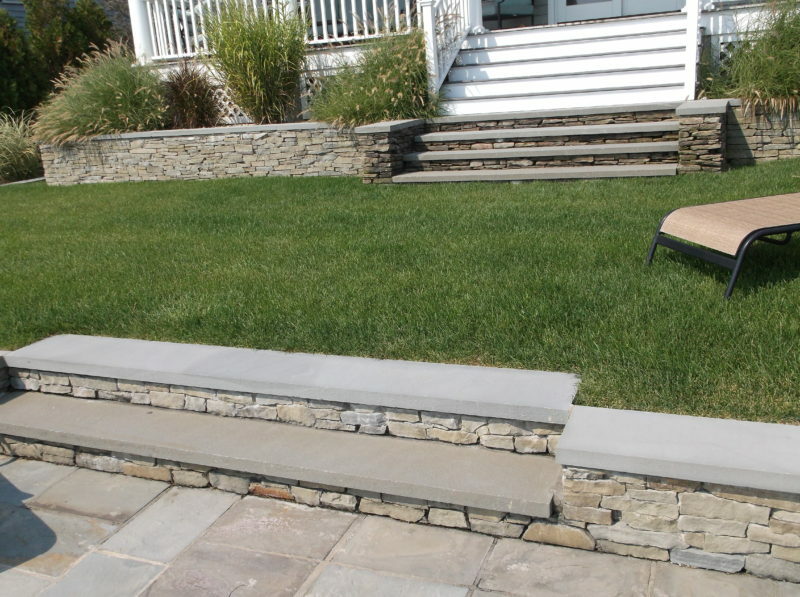 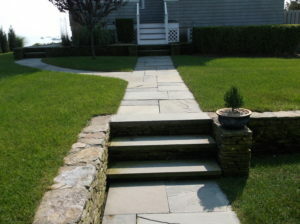 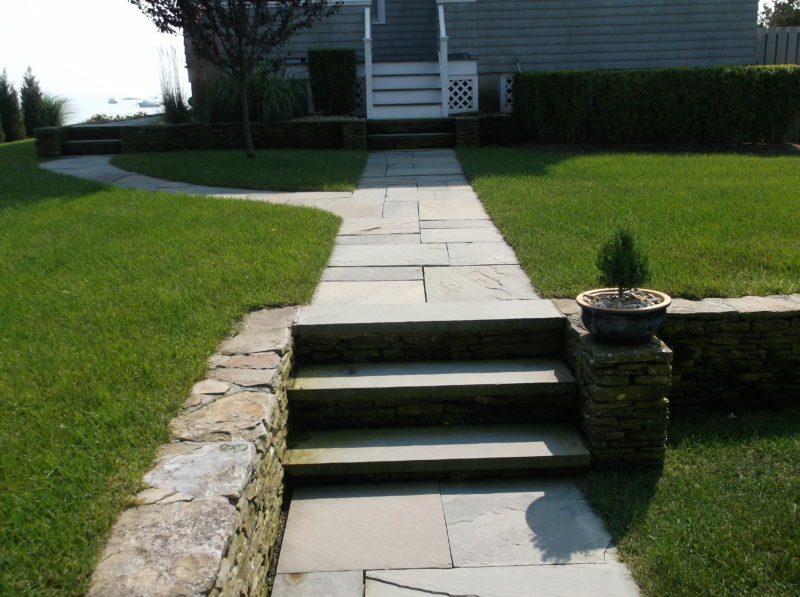 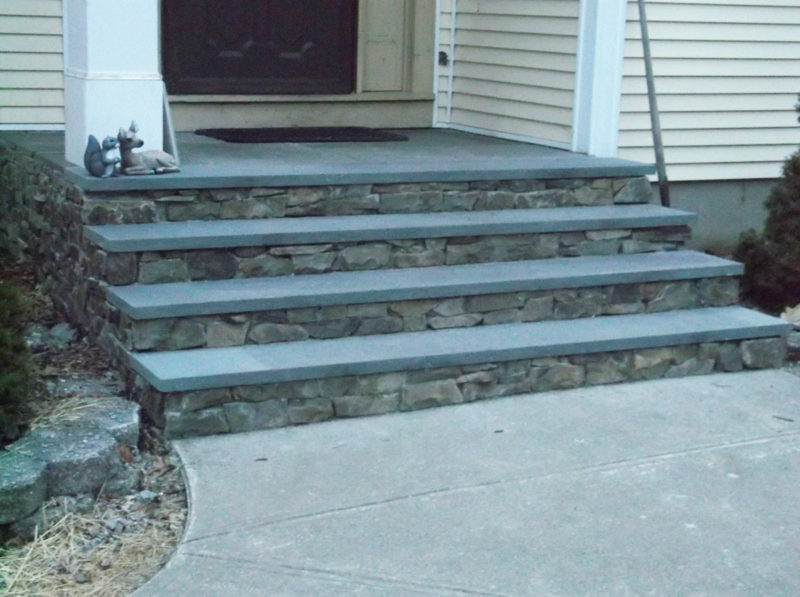 Stone steps with bluestone cap leading to small patio area on the beach. 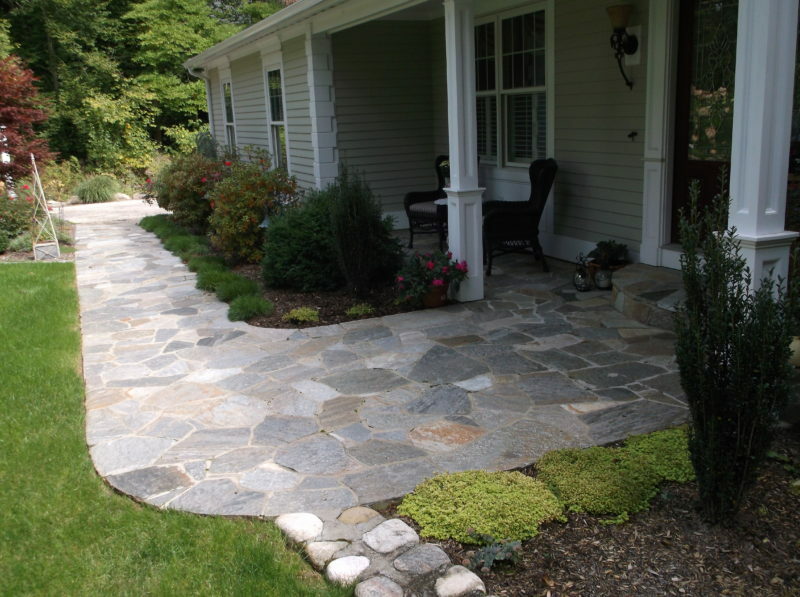 This is an example of a random pattern flagstone walkway. The stones are set in concrete. 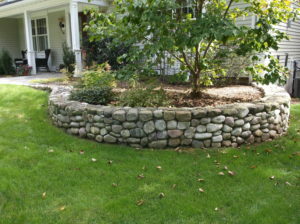 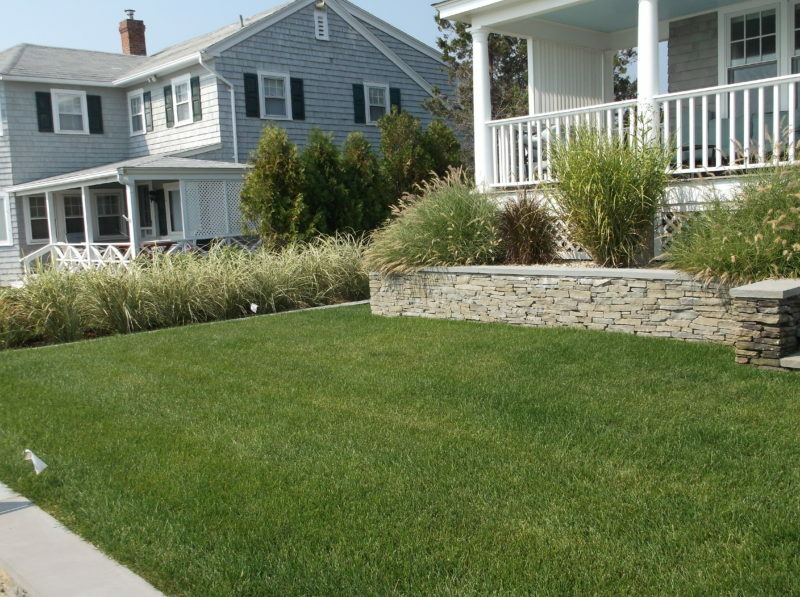 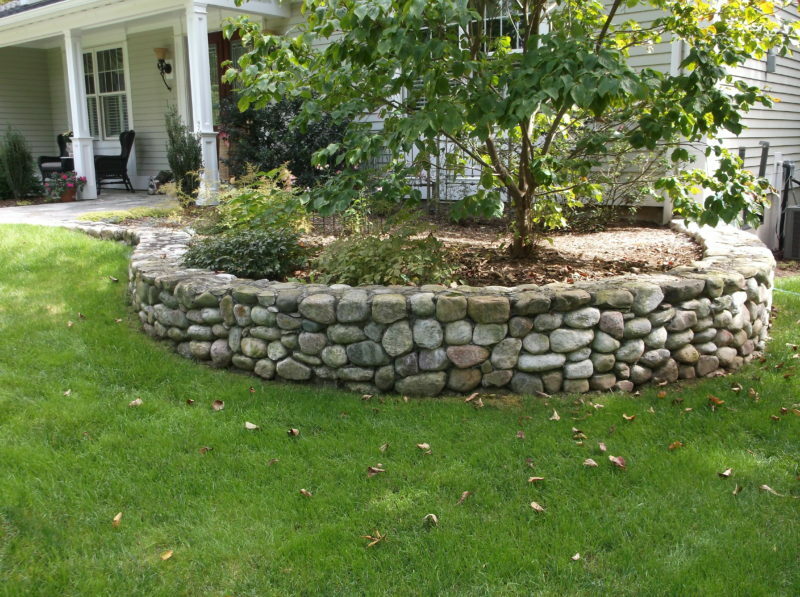 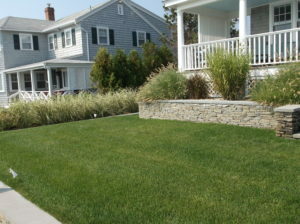 Landscaping constructed of selected stones from owner’s property.